Episode 2×03 “36 Hours” — Dr. Melendez, Dr. Brown and Dr. Park have given a young married couple two choices about their future: save the wife’s life or their future ability to start a family. 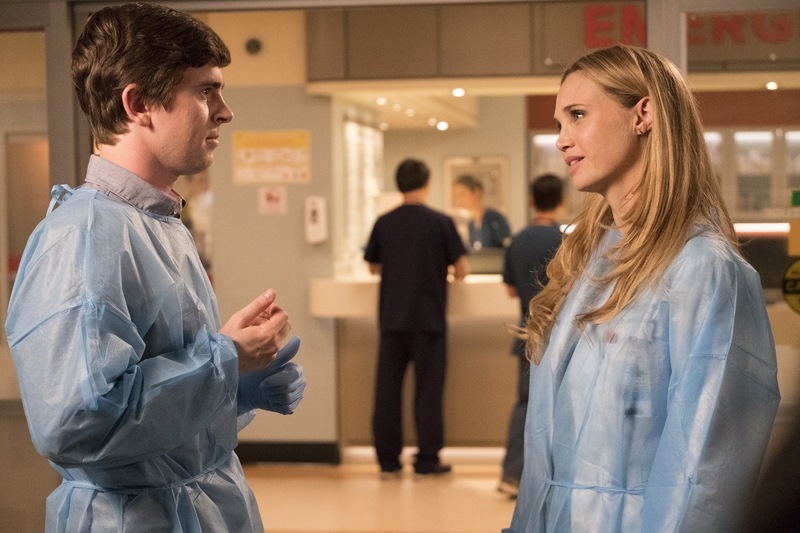 Meanwhile, when Dr. Lim has to take care of some personal business, she leaves oversight of the emergency room to Dr. Murphy and Dr. Reznick; and Dr. Glassman’s post-op recovery leaves him struggling to get the rest he needs for recovery and also confronting his relationship with his daughter. Air Date: Monday, Oct. 8 10:01-11:00 p.m. on ABC.